A Clean Election in Iraq? Over at Iraq the Model there is concern that the major Shia political party, the United Iraqi Alliance (UIA), and the major Kurdish party, Kurdistani Gathering, cooperated so as to rig the much celebrated December 15th elections. The complaints are part of a post titled Baghdad for Kirkuk. The argument goes like this: The Shia gave the Kurds a majority of the vote in the Kirkuk province in exchange for the Kurds looking the other way at Shia ballot stuffing in Baghdad. I decided to look at the election figures myself to see if there was anything to these charges. First, I decided to total up the results among the top 10 vote getters for each province on the IECI website, where the partial December 15th election results have been made available. If we assume that 60 percent of the people voting on December 15th were of the Shia religious sect, that would mean that 14.88 percent of the electorate were Shia voters who voted against the major Shia party, the United Iraqi Alliance (UIA). This means that about one out of every four or five ((14.88/60) = 24.80 percent) Shia voters voted against "identity politics." However, the above results don't really get at the complaints made by the hosts of Iraq the Model. From this comparison, I don't see how the Shia gave the Kurds the Kirkuk province, since the Kurds carried the province by a larger percentage margin in January than they did in December. Based on these numbers, it appears that the Shia vote increased by 268,501 votes while all other parties enjoyed an increase of 215,501 votes. I don't know if this means that the Shia engaged in voter fraud in Baghdad or if they just benefited more from the reduced threat of terrorism there. I did notice that the "anti-UIA" vote (the combined vote of all parties other than the UIA) did decline in the heavily Shia provinces like Basra and Missan. Was that a result of voter intimidation or ballot stuffing or is there a more benign explanation. At this point I think the December 15th election in Iraq was a reasonably clean election. Some of the complaints by the other Iraqi political parties seem not to be backed up by evidence. But we still have to wait to see what the final results are, since we currently only have partial results available to us. The preliminary results don't appear as gloomy as many people have been implying. I do realize that the Shia based UIA (list 555) isn't the only party that scares people. Some of the Sunni parties aren't exactly full of peace, love and understanding. I had hoped that at least one secular party, not so closely tied to any particular religious sect or ethnicity, would win a significant number of seats. This has not happened. Most Iraqis are still voting on ethnic and religious lines. Perhaps an electoral system of proportional representation encourages this more than a "first past the post" electoral system. The UIA will probably have to form a coalition. I don't think they will be able to rule all by themselves. Here are my estimates for all 275 seats, including the compensatory seats. My calculations for the compensatory seats are very "quick and dirty." They assume that there aren't any parties that will get compensatory seats that have not already won seats at the governate level. So, if my assumptions are wrong, the parties presented above will have even fewer seats than my estimate indicates. With the eavesdropping “scandal” the debate about the boundary between freedom and security has flared up again. In my opinion, two – very important – points have been overlooked in this debate. First, the opposition between freedom and security is a fake one, to a certain extent. A society cannot develop in freedom if it is threatened from the outside or the inside. That is why governments have powers for using violence against threats, both external (through the military) and internal (through the police and the judiciary). Security is therefore a basic condition for freedom (the ‘freedom from fear’). This has nothing to do with a police state which in the name of security oppresses its citizens’ freedoms. Just like “nur das Gesetz uns Freiheit geben [kann]” (German for: only the law can grant us freedom), the law can also take our freedoms away. Providing Law and Order is the basic task of any government, but only to the extent that it serves the freedom of its citizens. But the line separating both is sometimes not so clear-cut. Where the line is, and now I arrive at my second point, depends of the nature and the magnitude of the threats for our society: I am talking about Islamic terror now, of course. It spans many continents and takes many forms: flying planes into buildings in New York and Washington, bombing public transportation in London, Madrid or Tel Aviv, attacking schools in Beslan, tourists in Bali or Sharm-el-Sheikh, car bombs in Baghdad, Nairobi or Delhi, riots in Paris and Sydney, murders in the streets of Amsterdam, and then I haven’t mentioned Istanbul, Casablanca, Amman or gang-rapes of western ‘piggies’, harassment by ‘youngsters’ or campaigns against cartoons that depict the prophet. OBL, Zarqawi and others have made their objectives clear: establishing an Islamic caliphate. Not all these acts are done ‘in the name of Islam’, but that really does not matter: more important – and this cannot be denied – is that the perpetrators are Muslims, worshippers of Allah, whether they are Arabs, Asians, Africans, Carribeans or a Belgian woman blowing herself up in Iraq. This has got nothing to do with race, unless Muslim has become a race now. Ok, not all Muslims are guilty, but all the guilty are Muslims, aren’t they? So, terror is threatening our security ánd our freedom. It is up to governments to use Law and Order for freedom. Whether a country should have been invaded or whether international calls should be monitored, is and should be debatable. The same thing for measures like expelling militant imams. But I just can’t help getting the impression that some people are not really aware of this threat to our security. This is irresponsible. Having a discussion with those people is pointless, if it cannot be conducted within the proper framework, called Reality. Unfortunately, it has to be said that the ‘blind people’ dominate the public debate, as shown by the incessant whining about CIA-flights, eavesdropping practices, white phosphorous or burning dead Taliban and, even more striking, the absent indignation about the killing (through beheading) of hostages and the use of handicapped children as suicide bombers, or the understanding for rioting ‘youths’. I am tired of the victim culture, the theories about the racism of the natives and the socio-economic deprivation of the newcomers. I am tired of people blaming America for everything, for poverty, for global warming, for removing one dictator and not removing another one. If the critics prevent the local or the global (the US) cops to enforce Law and Order, for the sake of freedom, in our streets and in the world, then Reality will claim them sooner or later. But the sooner it gets done, the less messier it will be. 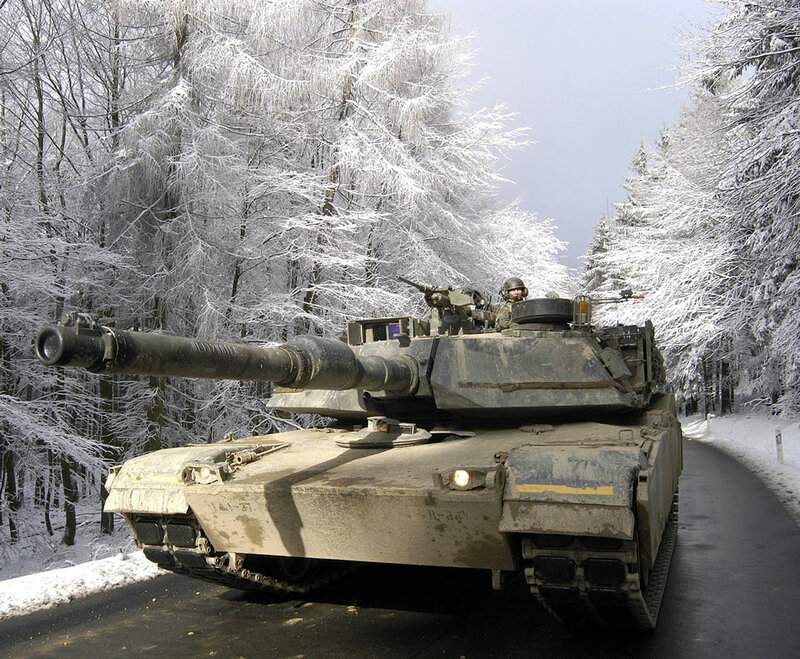 Soldiers from the 1st Armored Division drive their M-1A Abrams tank through the Taunus Mountains north of Frankfurt, Germany, during Exercise Ready Crucible. “On June 15, 1985, Hezbollah hijackers seized the TWA flight in Athens. Identifying Robert Dean Stethem as an American serviceman, they brutally beat and tortured the 23-year-old Stethem to death. Then, they threw his body off the plane, like garbage [very disturbing as it was seen on t.v.]. Stethem was so badly beaten that he could only be identified from fingerprints. 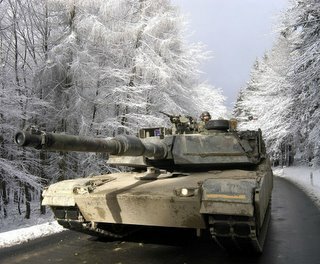 He was on his way home after a tour of duty with the US Navy in the Middle East. 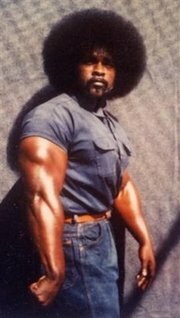 This story crosses paths with a different version of justice: the recent death sentence carried out on co-founder of the Crips’ gang , convicted murderer, and Nobel Peace Prize nominee (gag) Stanley “Tookie” Williams. Tookie, awaiting execution for the 1979 murders, had finally exhausted all appeals in the legal system. The usual ‘hugs-for-thugs’ celebrities and race-baiting activists were fawning all over Tookie for his ‘redemptive’ showmanship and pleading for his life as California Governor Arnold Schwarzenegger refused clemency stating: "The possible irregularities in Williams’ trial have been thoroughly and carefully reviewed by the courts, and there is no reason to disturb the judicial decisions that uphold the jury’s decisions that he is guilty of these four murders (warning: graphic photos) and should pay with his life." Back in Schwarzenegger’s hometown of Graz Austria, the politicians protested Arnold’s life and death decision by enacting a petition to rename its soccer stadium that had honored the Gov since 1997. In turn, Schwarzenegger replied: "In all likelihood, during my term as governor, I will have to make similar and equally difficult decisions," Schwarzenegger said in the letter. "To spare the responsible politicians of the city of Graz further concern, I withdraw from them as of this day the right to use my name in association with the Liebenauer Stadium." Terrorists will no doubt take note on which societies have a more tolerant and elastic culture when it comes to punishing murderers. Their lack of conviction concerning the properties and character of good and bad (moral relativity) make them 'easy pickin's' for potential dhimmitude.